Nature inspired wedding style! 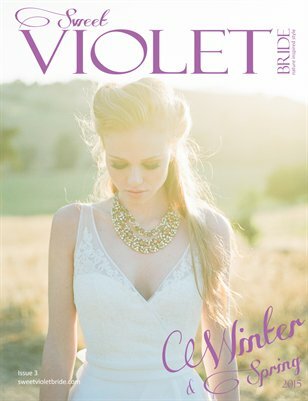 In our 3rd issue you'll find gorgeous natural light photography, real weddings and inspiring styled shoots from Oregon, Virginia, California, South Africa, Ireland and more. You'll also find the 2nd annual Natural Beauty Guide and Editor's Choice Awards, a Q & A with couture shoe designer Freya Rose, a stunning bouquet recipe, wreath recipes, and desserts with edible flowers.